Palestinian fisherman succumbed to his wounds on Saturday after being shot off Gaza shore a day earlier, according to the Health Ministry. “The fisherman, 33, died after he was shot south of Gaza on Friday,” Ministry spokesman Ashraf al-Qudra told reporters. In a statement, the Palestinian Interior Ministry said the fisherman had been shot by Egyptian army forces. “One of the Palestinian fishing boats came under direct fire from the Egyptian army late Friday near the Palestinian-Egyptian naval border, leaving a fisherman martyred,” the Ministry said. Nezar Ayyash, the head of Gaza fishermen union, earlier said the fisherman had been shot by gunfire from the Egyptian border. There was no comment from Egyptian authorities on the claim. The establishment of new Israeli settlements in West Bank has undermined the two-state solution to the Palestinian-Israeli conflict, the Russian Foreign Ministry said on Saturday. According to the ministry’s statement, Moscow believes Israel’s move does not help create the conditions for establishing direct negotiations between Israelis and Palestinians. “It is also clear that the continuation of Israeli settlement activities undermines the prospects of a two-state solution to the Palestinian-Israeli conflict, reducing the chances of achieving a just and reliable peace in the Middle East,” it added. It said Russia confirmed its “principled position” on the illegality of Israeli settlement activity in the Palestinian territories, including East Jerusalem. Israel on Thursday approved the construction of hundreds of new housing units for Jewish settlers in the occupied West Bank. According to the Israeli anti-settlement group Peace Now, Israeli officials last year approved the construction of 6,742 new settlement units in the West Bank and East Jerusalem — the highest number since 2013. Some half a million Israelis currently live on more than 100 Jewish-only settlements built since Israel occupied the West Bank and East Jerusalem in 1967. 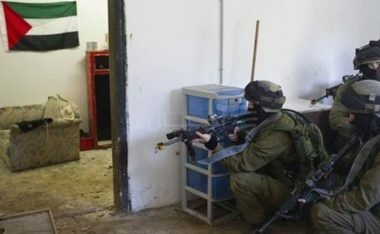 The Hebron office of the Palestinian Prisoners’ Society (PPS), in the southern part of the occupied West Bank, has reported that dozens of Israeli soldiers invaded, on Sunday at dawn, the al-‘Arroub refugee camp and Yatta town, searched many homes and abducted five Palestinians. The PPS said that the soldiers searched and ransacked homes in the al-‘Arroub refugee camp, north of Hebron, and abducted Anan Mohammad Afifia, 22, Mohammad Yousef Janazra, Rani Hdeib, Issa Mohammad al-‘Amour, 30, and Yahya Saleh al-‘Amour. The soldiers also searched homes in Yatta town, south of Hebron, and interrogated many Palestinians while inspecting their ID cards. In related news, the soldiers invaded and searched homes in the southern area of Hebron city, and interrogated many Palestinians. Also at dawn, the soldiers invaded several Palestinian villages, in the northern West Bank governorate of Nablus, searched many homes and stores, before confiscating surveillance tapes and equipment. Furthermore, the soldiers abducted three young Palestinian men from Jenin city, and nearby al-Yamoun town, in northern West Bank, and confiscated surveillance equipment from a local coffee shop. 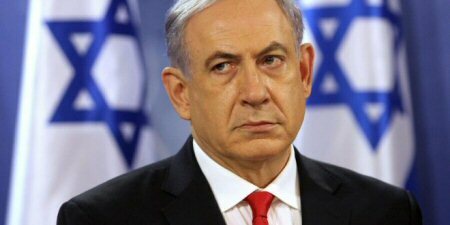 Israeli Prime Minister, Benyamin Netanyahu, on Sunday, threatened to use “even greater force if necessary,” after an Israeli strike on a tunnel at the Gaza-Sinai border in Rafah. 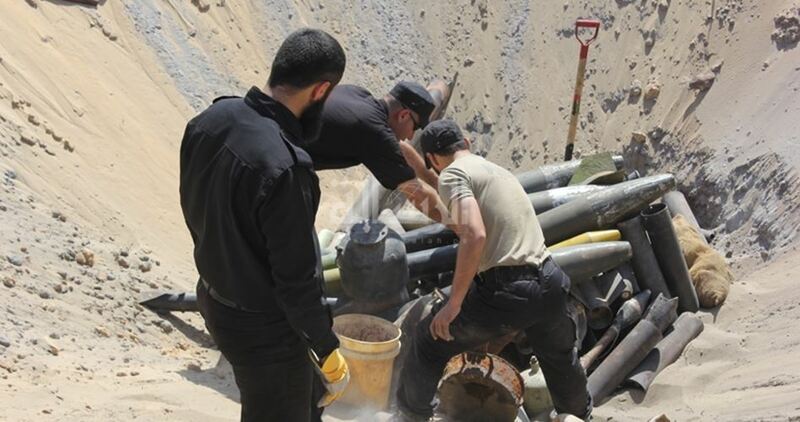 Hours later, the Israel army confirmed reports that the target of the strike was a Hamas tunnel on the Palestinian side of Rafah, claiming that it was used to smuggle weapons and militants into Gaza. Following the attack, Israel announced closure of the Karam Abu Salem border crossing, to the east of the city of Rafah in the Gaza Strip, until further notice. Hebrew TV channel Seven on Sunday reported that Israeli settlers have recently created field teams to chase and take photos of Palestinian protesters during clashes with the Israeli occupation forces. According to the channel’s website, a settler group named “Jewish Authority Movement in Judea and Samaria (West Bank)” has announced the formation of many field groups in different areas of the West Bank. The aim of this move is to assist the Israeli occupation forces in chasing the Palestinian protesters with the help of photos and recordings prepared by the settlers. The website added that the settler group, which is equipped with advanced cameras and whose source of funding remained unknown, is currently training its members on the mechanisms of documenting the clashes and providing the Israeli army with the needed information. In addition to this, the settler group has appointed a legal team to follow up the cases of the Palestinian prisoners who are arrested for participating in clashes and ensure that they are brought to trial. The Hebrew channel said that this move comes in response to some Israeli left-wing organizations which document the Israeli violations against the Palestinians, such as B’Tselem, Yesh Din and Machsom Watch. Several Palestinians were kidnapped by the Israeli occupation forces (IOF) in abduction sweeps rocking the West Bank at predawn Sunday. The Israeli army claimed responsibility for the abduction of 15 Palestinians on allegations of involvement in anti-occupation activities. The IOF wreaked havoc on civilian homes and aggressively beat several arrestees in the presence of their family members. 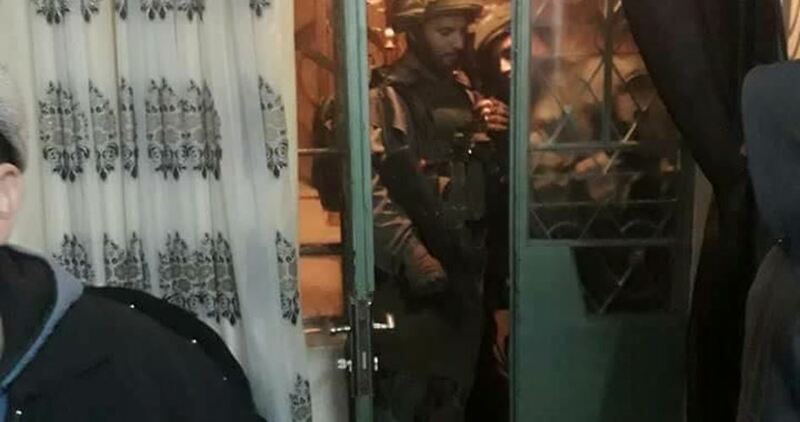 Reporting from the northern West Bank, a PIC reporter said the occupation forces kidnapped 26-year-old Islam Samar from Jenin’s western town of Yamon after they ravaged his family home. 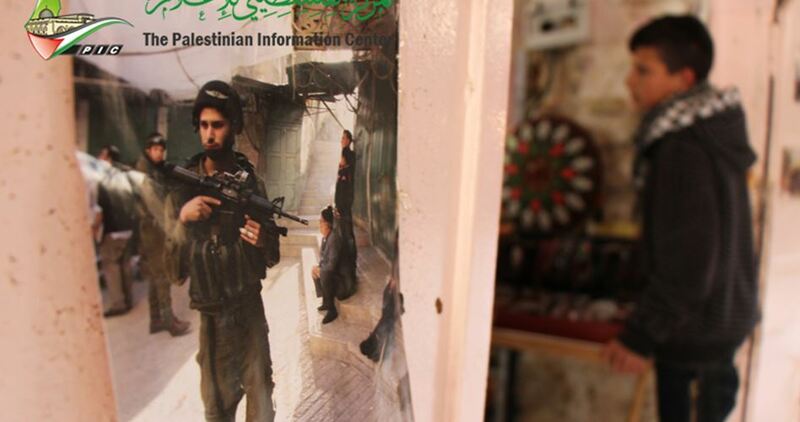 The IOF also seized surveillance cameras from a Palestinian home in Mesliya town, in Jenin. Clashes burst out Rumana town, west of Jenin, after the IOF rolled into the area and sealed off its main thoroughfare with a military checkpoint. Several Palestinians choked on teargas in the clashes. At the same time, the occupation army has tightened grip around Nablus province allegedly in the hunt for the perpetrator of an anti-occupation attack which left an Israeli dead last week. 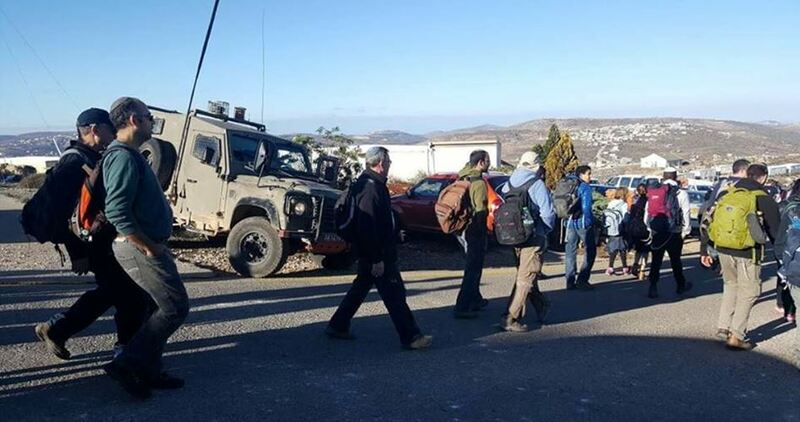 According to the locals, a series of checkpoints have been set up by the IOF on the main access roads to the city, blocking civilians’ access out of and into the area. Traffic jams have flared up on Nablus-Qalqilya road, Nablus al-Jadida-Madama, and Burin-Hawara, among other thoroughfares, as a result of the closure. Overnight, occupation soldiers rummaged residential neighborhoods in quest of surveillance cameras. Free Mandela Salem: This Palestinian youth will not be silenced! Active Palestinian student and youth organizer Mandela Salem was seized by Israeli occupation forces on 4 January. The former coordinator of the Progressive Democratic Student Pole at Bir Zeit University, Mandela is an engineering graduate who continues to be an active youth organizer. From the village of Douma near al-Khalil, Mandela is active in a number of initiatives and forums as part of the Palestinian struggle for liberation and return and he was clearly targeted by Israeli occupation forces for his political work and activity. Samidoun Palestinian Prisoner Solidarity Network denounces the seizure of Mandela Salem and demands his immediate release – and the freedom of all 6,200 Palestinian political prisoners held in Israeli jails. The targeting of Mandela Salem is only the latest example of the systematic policy of attacks and imprisonment against prominent youth activists and young Palestinian leaders under occupation, in an attempt to jail the next generation of Palestinian strugglers leading the movement forward; this is something that is also visible in the imprisonment of Ahed Tamimi and thousands more young Palestinians. We urge all friends and supporters of Palestine, and especially student and youth organizations, to join the call to free Mandela and his fellow Palestinian prisoners from Israeli jails. 1) Individuals, organizations, associations and student unions and groups: write a letter or a statement in support of Mandela, or take a group photo with a sign that says, “Free Mandela Salem!” and use #FreeMandela on social media. Share your statements and photos on Facebook, or email samidoun@samidoun.net. 2) Organize or join one of the many protests for Jerusalem and Palestinian prisoners and distribute this post and other news about Mandela, Ahed and all of the Palestinian prisoners. Get others involved in the struggle for Palestinian freedom! Tell us about your events – email samidoun@samidoun.net. 3) Join the Boycott, Divest and Sanction Campaign to build the campaign for boycott, divestment and sanctions against Israel and complicit corporations like HP and G4S. Israeli municipal staff and policemen on Sunday seized Palestinian stalls and fined street vendors near al-Majlis Gates, one of the entrance doors to Jerusalem’s al-Aqsa Mosque. 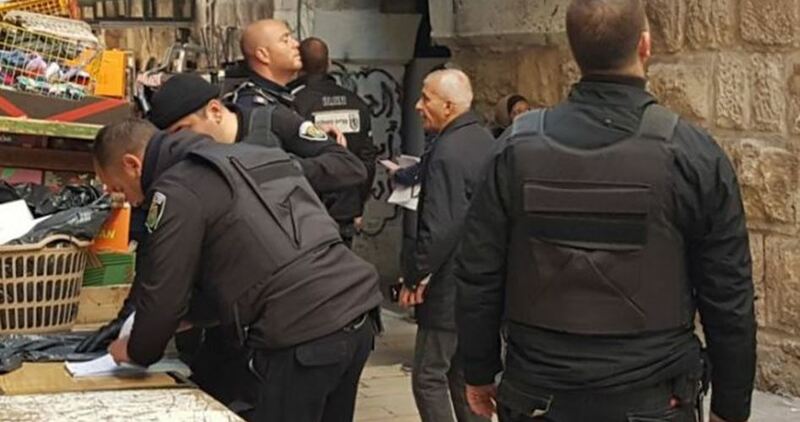 Media coordinator at the Islamic Endowment Department Firas al-Dabs said Israeli police seized stalls set up near al-Majlis Gate and subjected Palestinian sellers to steep fines. Al-Dabs said the measures make part of preplanned crackdowns by the Israeli occupation authorities in an attempt to force Palestinians out of Occupied Jerusalem. Hordes of Jewish settlers on Saturday evening attacked Palestinian neighborhoods in the Old City of al-Khalil, south of the occupied West Bank. Local sources told the Palestinian Information Center (PIC) that dozens of settlers from the illegal settlement of Kiryat Arba performed rituals at the Ibrahimi Mosque and then attacked homes in different neighborhoods of the Old City, including al-Ja’abari area. They added that the settlers assaulted Palestinian citizens and hurled stones at houses under military protection, causing damage to their windows. In al-Ja’abari neighborhood, some residents went to the rooftops of their homes and defended themselves by throwing the settlers with stones and empty bottles, which forced them to escape away. A Palestinian child was injured on Sunday morning in the blockaded Gaza Strip after a device, believed to be part of Israel’s war remnants, exploded. The Palestinian Health Ministry spokesman Ashraf al-Qidrah said a 16-year-old boy sustained moderate wounds after an explosive device went off east of Jabalia. Several Palestinians were killed or injured as a result of blasts triggered by the leftovers of Israel’s war kit used during its offensives on the besieged coastal enclave of Gaza.